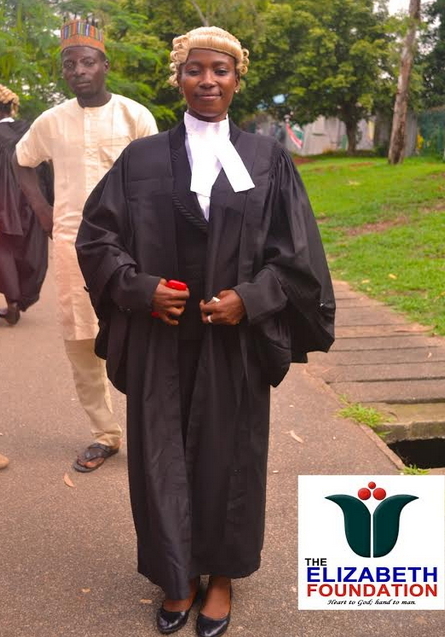 Young Orphan, Miss Rukayat Yakubu was among the 2,759 called to the Bar in Abuja last week following their success at the July 2017 Bar final examinations conducted by the Nigerian Law School under the supervision of the Council of Legal Education. 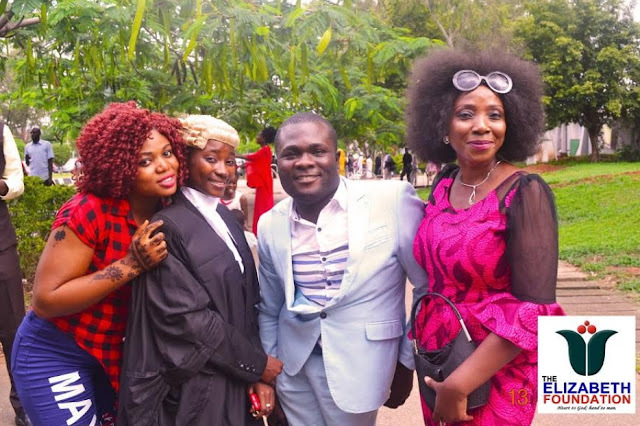 Rukayat Yakubu was accompanied by the Founder of Elizabeth Foundation, Mrs Adelani, alongside her loved ones to the colourful call-to-bar ceremony at the International Conference Centre in Abuja. 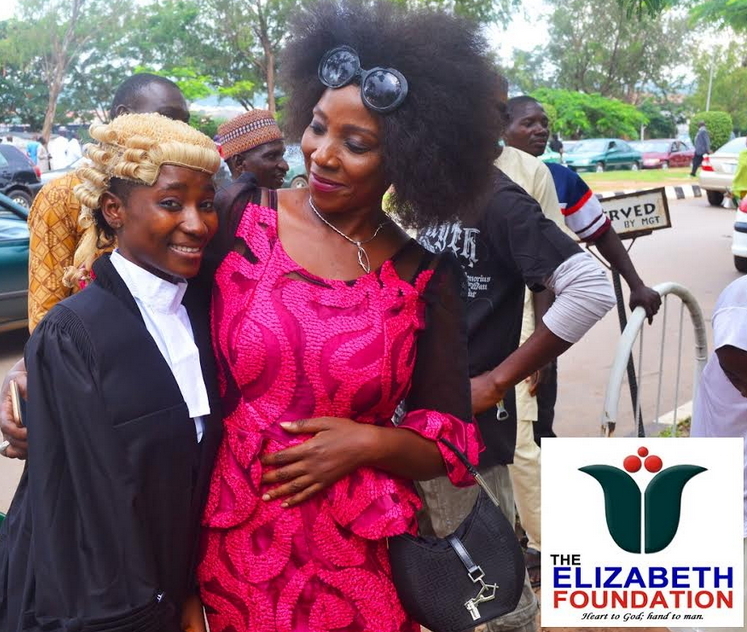 Rukayat Yakubu was an orphan picked up by Elizabeth Foundation from secondary school stage down to the Law School, we glorify the good Lord for her achievement and while we wish her successful days ahead. 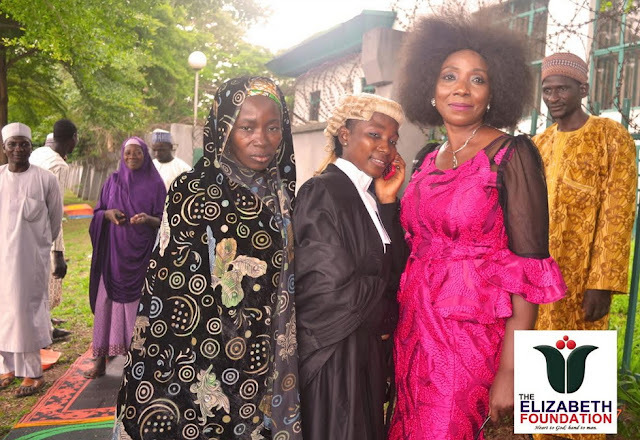 Rukayat yakubu vs Elizabeth? Muslim vs Christian!!!! Nigerians should learn that religion doesn’t really matter (it’s religion introduce to us by the white men, not even our forefathers religion) so why should we kill in the name of religion?